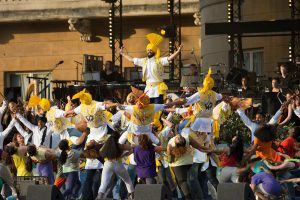 Jeanefer was invited to choreograph a piece with over 100 dancers as a part of the Coronation Concert in Buckingham Palace in 2013. 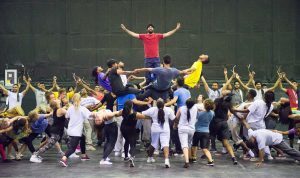 This was a Big Dance commission produced by East London Dance. The festival took place in the stunning setting of the gardens of Buckingham Palace. The Gala evening of entertainment was a spectacular celebration of music and dance from the past 60 years.